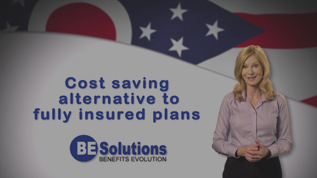 BE Solutions relationship with Ohio Chamber of Commerce. We are pleased that the Ohio Chamber of Commerce has chosen BE Solutions to represent and support Ohio Businesses in the recently launched Small Business and Mid-Market Initiative as they evaluate health coverage options, specifically Small Group Self-Funding. Many companies are startled by the health plan rates they are receiving through the Community Rated plans now mandated by the Affordable Care Act. Small Group Self-Funding is the right solution for many of these groups. As an insurance agency and Third Party Administrator, BE Solutions is uniquely qualified to assist in evaluating your Small Group Self-Funding alternatives. Customized Plan Designs based on your employee needs, not ACA requirements. Data Warehouse of claims for your group; giving you the ability to better negotiate your renewal. Avoidance of some of the PPACA taxes and fees. If claims are lower than expected you have a chance for a refund of premium dollars. How to get a customized Quote for your Business …..
To contact BE Solutions for additional information or to arrange a discussion, click here. Click here for tools and instructions on census creation and delivery. BE Solutions has the ability to do custom online quoting and enrollments for your group.